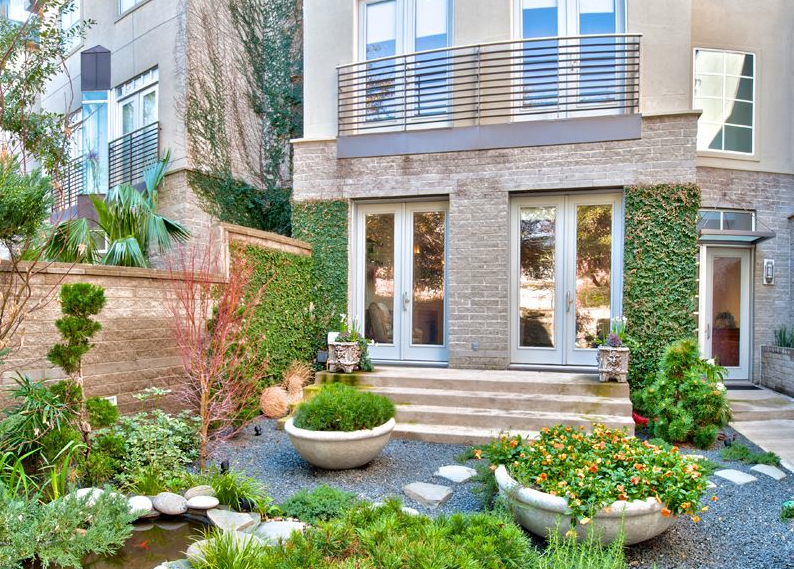 This sleek and sophisticated soft contemporary is nestled amongst Zen gardens and a koi pond. Elegant living with a contemporary modern flair. An elevator services all four floors of the townhome. 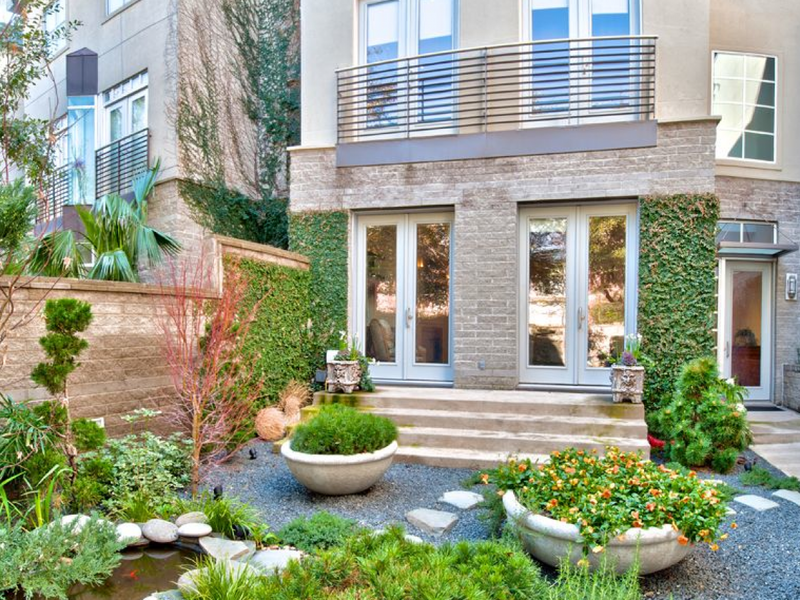 Luxury appointed finishes include bamboo, maple and ceramic tile floors. Natural stone, soap stone, limestone, zinc, onyx marble and granite grace the home’s countertops all over. Sky lights throughout allow plenty of natural light to flow throughout. The fourth floor has an exercise room and outdoor patio with a retractable patio cover, hot tub, flat screen, bar be que, fireplace and breath taking view of Hyatt ball and MHM bridge. This luxurious townhome is perfect for the empty nester, jet setter, newlywed and one who wants a chic and easy home to maintain.